If you trusted the staff at the nursing home you selected to care for you or your loved one and now suspect nursing home abuse or nursing home neglect, you have a legal right to act on your suspicions. Unfortunately, many nursing home residents never mention instances of nursing home neglect or abuse out of fear that the mistreatment will get even worse. 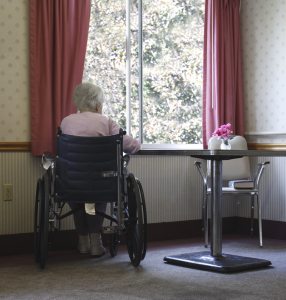 At the personal injury law office of Jeffrey R. Rollins, P.A., the firm is skilled at recognizing the signs of nursing home neglect where abuse or death has occured and will work to protect resident rights and recover compensation where neglect or abuse has occurred. Physical – hitting, slapping, burning, pushing, restraining and dispensing too much or too little medication or the wrong medication. Neglect – deprivation of food, heat, comfort, hygiene care, clothing, essential medication, or medical or nursing care and treatment that is below the accepted standard of care. Psychological – shouting, swearing, frightening, blaming, ignoring or humiliating. Financial – the illegal or unauthorized use of a person’s property, money, pension book or other valuables. Sexual – forcing a person to take part in any sexual activity without his or her consent. At the law office of Jeffrey R. Rollins, P.A. we represent clients in nursing home neglect. We understand the sensitive issues surrounding your medical care. Your rights are protected by us at the law office of Jeffrey R. Rollins P.A. Take the first step if you believe you or a loved one has been a victim of nursing home neglect or abuse from a medical professional is to contact the law firm of Jeffrey R. Rollins P.A. and speak to Jeffrey R. Rollins, Esquire at 772-242-8603. The law firm can represent nursing home neglect and abuse cases and knows the best way to pursue the compensation for you. Jeffrey R. Rollins, P.A. is a personal injury attorney representing car accident injury, medical malpractice, surgical mistakes, product liability, nursing home abuse or neglect, pharmacy negligence and wrongful death. Call us at 772-242-8603.